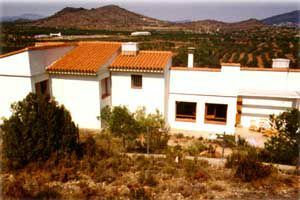 La Escaleta is an architect designed house set on a gentle hillside, with lovely views over orange groves and in the distance, the Sierra de Espadan. The house enjoys considerable privacy and quiet as it is one of only 5 houses on a cul de sac road. 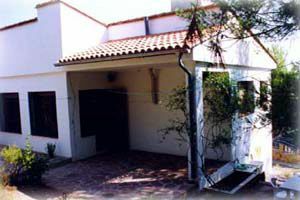 The house has 3 good sized bedrooms, each of which can comfortably sleep 2 people. There are two bathrooms, once of which is ensuite to a bedroom. 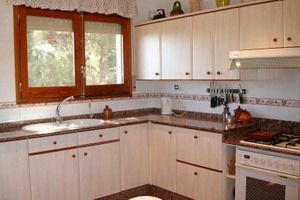 The kitchen is spacious and modern, and exceptionally well equipped. 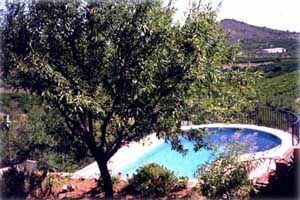 There is a large open plan lounge and dining area with views out over the orange groves. Amenities include full central heating, a washing machine, water softener, television and video. The house has a generously sized swimming pool, surrounded by paved areas for relaxing and admiring the view. A particularly attractive feature of the house are the two generous patio areas - one at the front and another at the back, both with areas for sun and shade. There is always a spot to sit and take sun or shade, whatever the time of the day. Both patios have tables and chairs so you can eat outside. Central heating makes the house a lovely spot for out of season holidays too as the weather is still often bright and warm during the day. 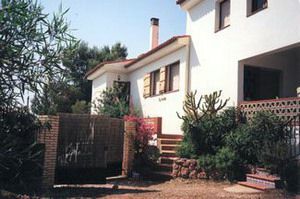 The house is set on a small hill just outside the village, thus giving the combination of privacy and quiet, yet only being a few minutes walk from the centre of the village. Bedrooms: 3 good size bedrooms, with twin beds in each (1 en-suite). Bathrooms: 2 bathrooms, 1 of which is en-suite. Kitchen: Large recently modernised kitchen with butane gas hob, electric main oven, microwave, fridge/freezer and well kitted out with pots and pans, crockery and cutlery and washing machine. 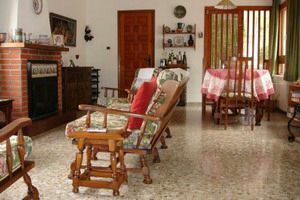 Living Rooms: Open-plan lounge and dining area with views over the orange groves with TV and video recorder. Cleaning/towels/linen/maid service: No maid service but towels and linen provided. Estivella is a small village which boasts several traditional bakers, using wood-fired ovens to bake twice a day, shops to cover all your needs and a weekly market. This is not a tourist village, in the sense of tourists from overseas, although Estivella has long been a summer destination for people from the nearby city of Valencia, seeking to escape the summer heat of the coast. The village is set within acres of attractive 'huerta' where you can stroll or cycle along level paths amongst oranges, almonds, pomegranates and olives. The village has a thriving local culture. 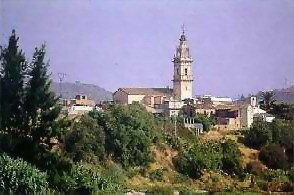 People speak the dialect of 'Valencia', a cross between Spanish and French, and there are regular events in the village, from visiting bands and theatre in the 'Casa Cultural' of the village, to the August fiestas of the village. The August fiestas are an explosion of a fantastic range of activities and noise - from open air paella cooking competitions to bull running through the narrow village streets. Very exciting if you want to be part of it and don't mind noise until the early hours, but worth avoiding if you are seeking peace and quiet ! It is perfectly possible to manage without a car. There are regular, reliable and cheap bus services both inland and to Valencia as well as a train which takes you from Estivella station to the very heart of Valencia city. The nearest beaches are about 10 miles from the villa. Valencia airport 'Manises' is located about 15 miles from the villa. There are numerous fascinating places to explore on day trips. The famous medieval village of Albarracin, the beautiful natural hot river of the spa town of Montanejos, some of the most important Roman ruins in Europe at Sagunto and excellent easy rambling in the low hills and 'huertas' and more demanding walks in hillier country. Rates vary according to number of people renting, length of rental period, and season. Deposit : Once booking is agreed upon, a non-returnable deposit of 25% of the total is due. Deposit Payment : Payment by Cheque or Banker's Draft. Balance to be paid eight weeks prior to start date of renting.